This is a recent job completed by FRS Construction. 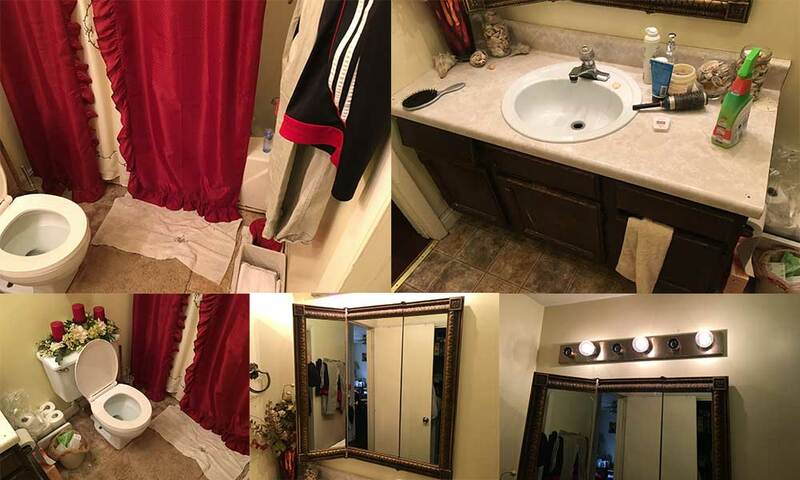 We were hired to remodel this 30+ year old bathroom and bring it up to date. 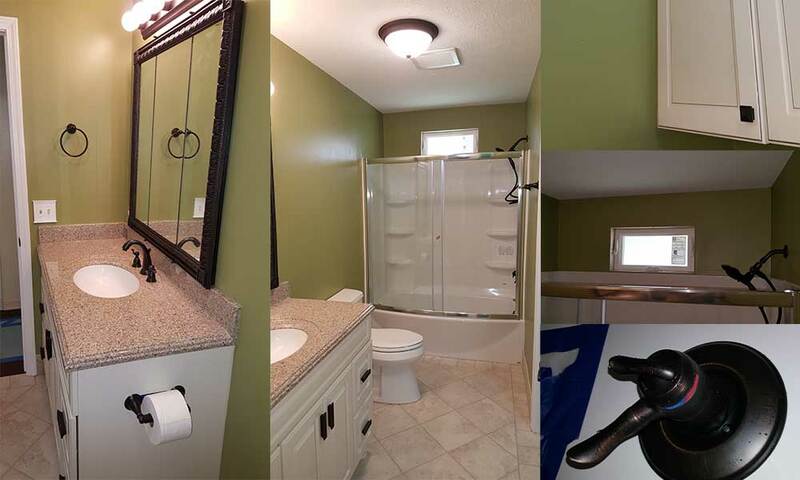 This bathroom remodel was a complete gut job where we removed everything in the bathroom, including; tub, toilet, baseboard, vinyl flooring, shelves, countertops, vanity, closet, and door. We also repainted the room during construction. Here is a quick overview of the step by step on this project. 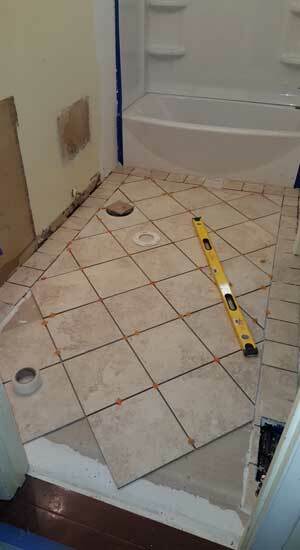 This is a collection of photo’s from the bathroom before began the remodel. You can tell this bathroom is from the 80’s and needs an update. Bathrooms on average have a return on investment of 77% making it a great choice by the homeowners to go ahead and get this done. Everything has been removed in the bathroom. 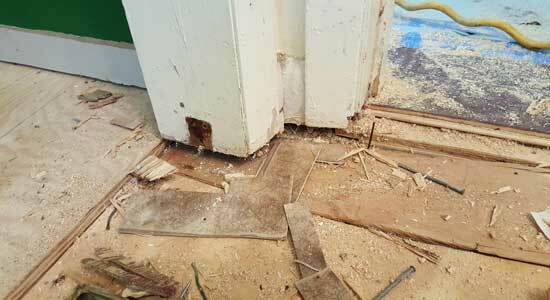 This photo shows where we found the sub floor rotting, which had to be replaced. 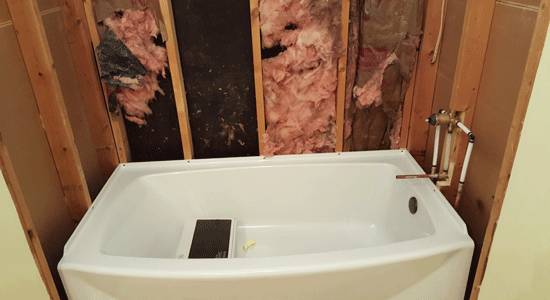 The new bathtub has been installed as well as new plumbing. 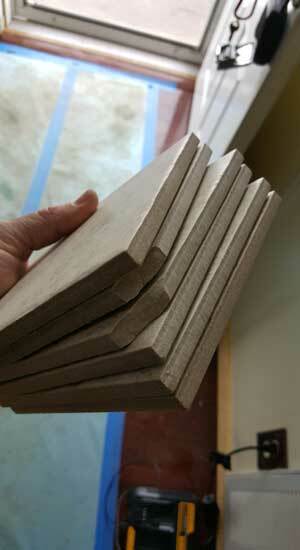 We replaced the vinyl flooring with two different sizes of ceramic tile, 6 inch and 12 inch. The 6 inch tile laid on the outside of the border while the 12 inch tile was placed in the middle creating a nice design. There was drywall patching that we had to do because of some of the pre existing drywall damage. 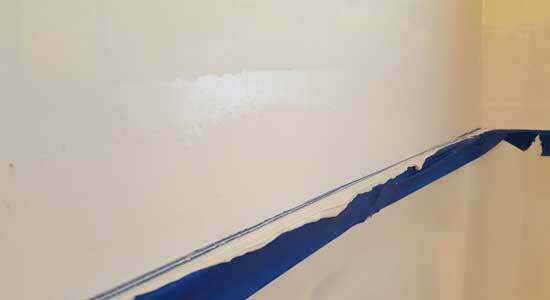 We also painted the bathroom, and used tape in this photo to help protect the new bathtub. Viola! 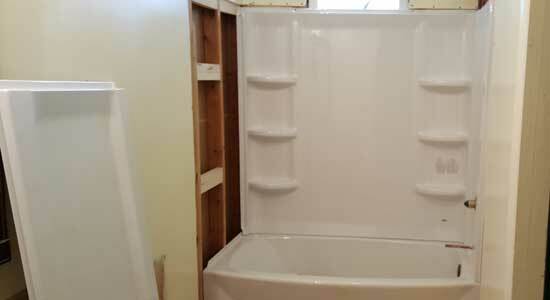 What a transformation.The finished bathroom remodel was completed by FRS Construction. 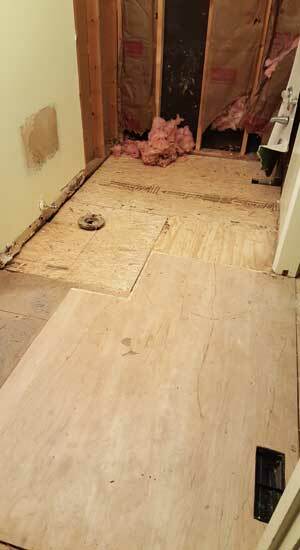 If you would like to schedule a remodeling appointment with us, go here.